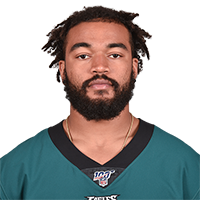 Barnett (shoulder) is expected to be healthy in time for the start of OTAs this spring, Dave Spadaro of the Eagles' official site reports. 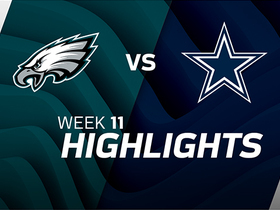 Analysis: Barnett appeared in just six games during his second season, largely thanks to a torn rotator cuff in one of his shoulders that required season-ending surgery to repair. 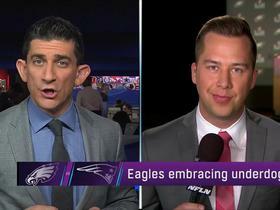 However, it doesn't seem as if the 2017 first-rounder is at risk of missing most of the Eagles' offseason program, a time Barnett could use to strengthen his position within an Eagles defensive line rotation that could lose both Brandon Graham and Chris Long via unrestricted free agency this spring. 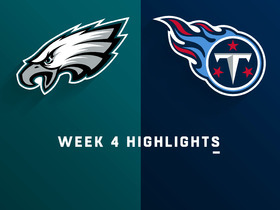 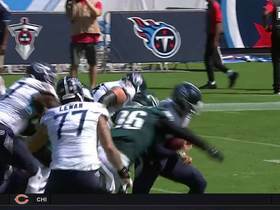 Philadelphia Eagles defensive end Derek Barnett leaps over the line to sack Tennessee Titans quarterback Marcus Mariota for a loss of 7 yards. 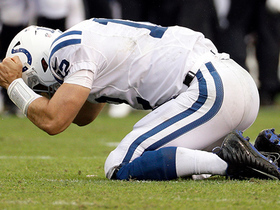 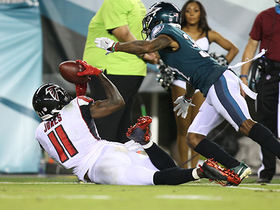 Atlanta Falcons wide receiver Julio Jones' would-be catch ruled incomplete after review. 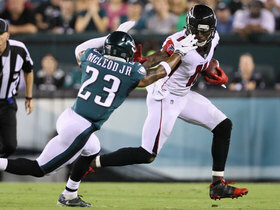 Atlanta Falcons wide receiver Julio Jones stiff arms Philadelphia Eagles safety Rodney McLeod for an 11-yard run in the 2018 NFL Kickoff Game in Week 1. 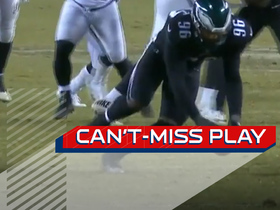 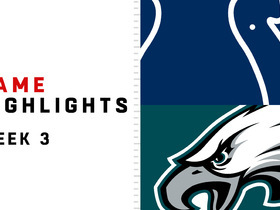 NFL Network's James Palmer breaks down how the Philadelphia Eagles' offseason additions along the defensive line are paying dividends for them late in the season. 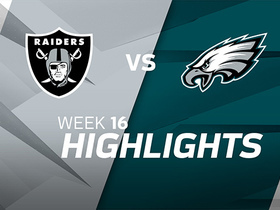 Philadelphia Eagles defensive end Derek Barnett scores 23-yard touchdown.